Dang it, I can’t find more than 5 stars on your pull-down menu or I would rate it higher. I love the vest and always get compliments when wearing it. 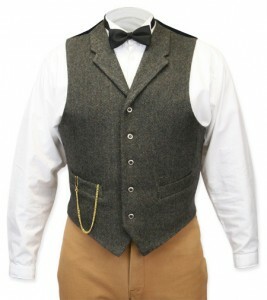 I have been looking forever trying to find a vest of this quality at this price and I am so happy that I stumbled upon your website. I just love this hat I guess I am ahead of the fashion they say hats are coming back in. This is my second bowler, but this one is much better than the last one better price and better quality. I like that it’s made with organic cotton and is water proof my last one cost more and is not nearly as nice. I’m not a steam punk I’m 64 and wanted a cool hat to cover my bald head I have noticed that a lot of bowlers have been on TV lately, so I just thought why not. Very nice hat great price thanks so much. 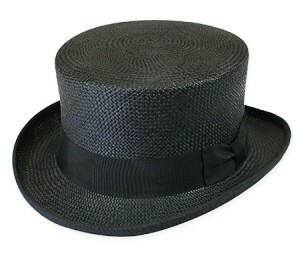 Panama Straw Top Hat – Black: Puttin’ on the Ritz, baby! 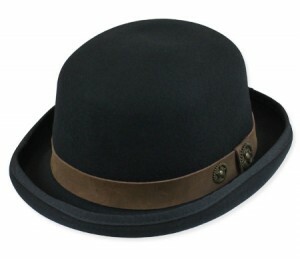 This hat is awesome!!! Sturdy yet light weight, perfect hat for warm climates. 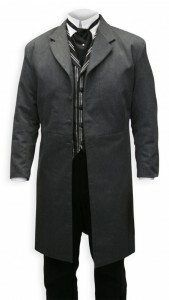 The first day I wore it I paired it with the wasteland black eye-wear and an Armani trench coat. I felt like people wanted to get my autograph. Worth every penny I paid!!! Sable Brushed Cotton Frock Coat: Hell yes. This thing is the bomb. Pure and simple. The coat is high quality and after a thorough inspection I couldn’t find not even one thread that needed to be trimmed off (this is often the case around button holes, but their weren’t any “extended threads”). Historical Emporium provides top quality clothing and various accessories which I am certain that anyone would be proud to wear.